We are Chartered Certified Accountants who have been providing a wide range of accounting and related services mainly in the West London area since 1997. 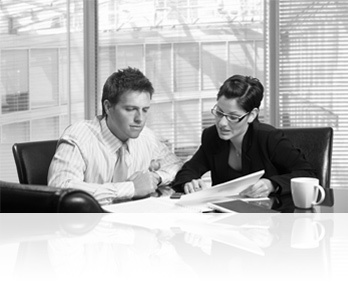 We can provide you with a comprehensive range of accounting and tax services. You may be an individual and only need help completing your annual tax return or you may be self-employed, in a partnership or running a small limited company and require us to provide a variety of services including bookkeeping, accounting, taxation, VAT, payroll and audit. Whatever your requirements we will be able to help you. We provide the advice and services to ensure you and your business are compliant and have the financial information to be successful. We provide a professional service tailored to your needs. When we first meet you we will assess your requirements and then recommend a package of services as appropriate. As our relationship with you develops and we get to know more about your business we will tailor our services accordingly. We have many years of experience dealing with individuals and small businesses. Our success is founded on a friendly, personal, quality service. You will have the comfort of knowing we are members of the Association of Chartered Certified Accountants, the global body for professional accountants. By employing a Chartered Certified Accountant you are assured that high standards of work have been met and will be maintained. We value our clients and wish to build long term relationships. Are you setting up in business for the first time and have a number of questions? Or maybe you feel you are not getting all the services and advice you need from your current advisers. MAYBE IT’S TIME TO CONTACT US.